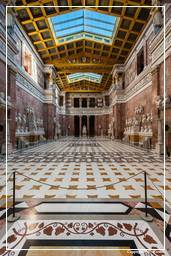 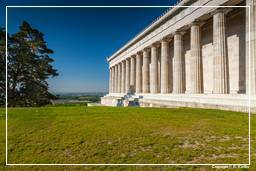 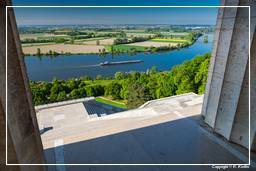 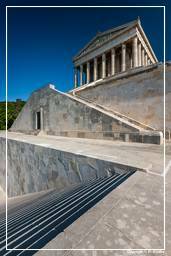 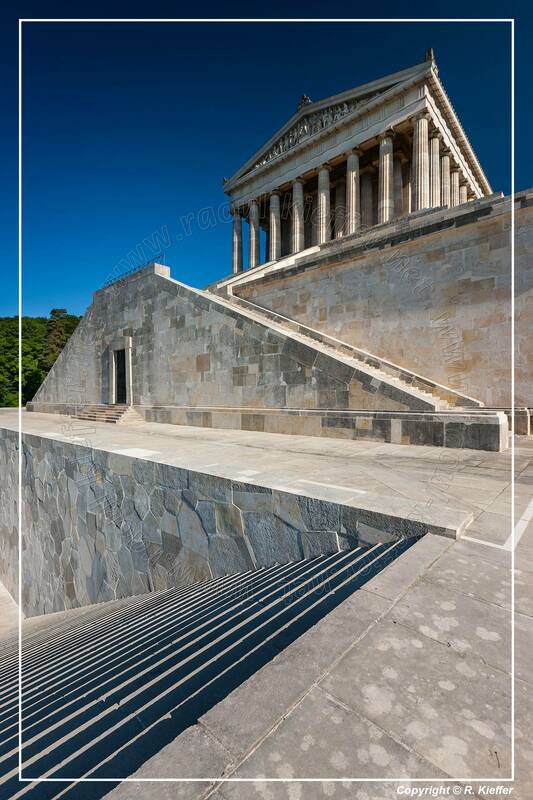 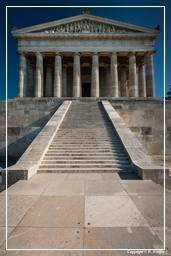 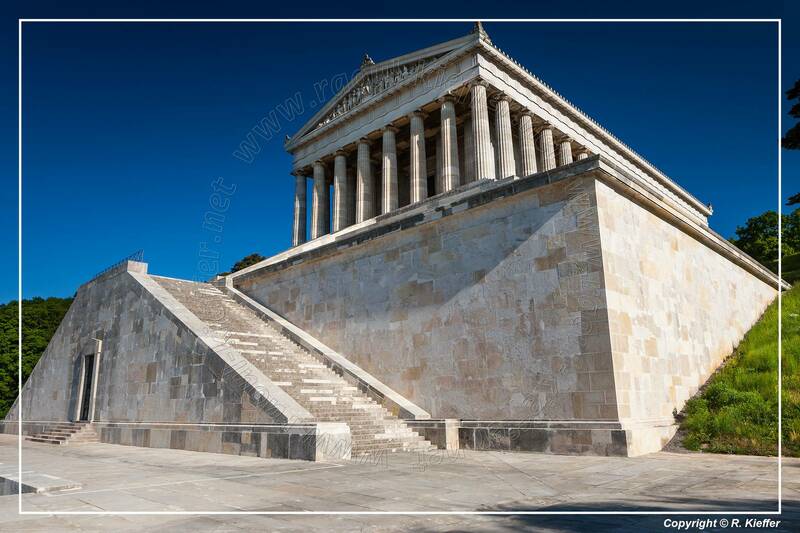 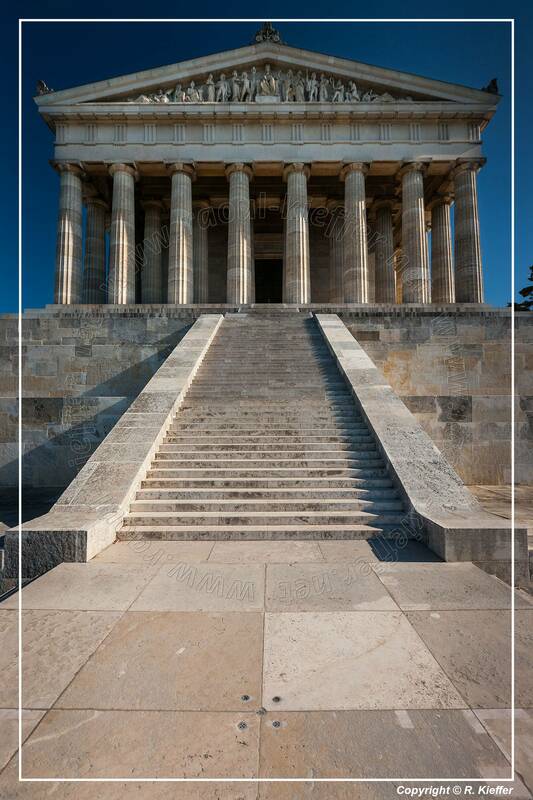 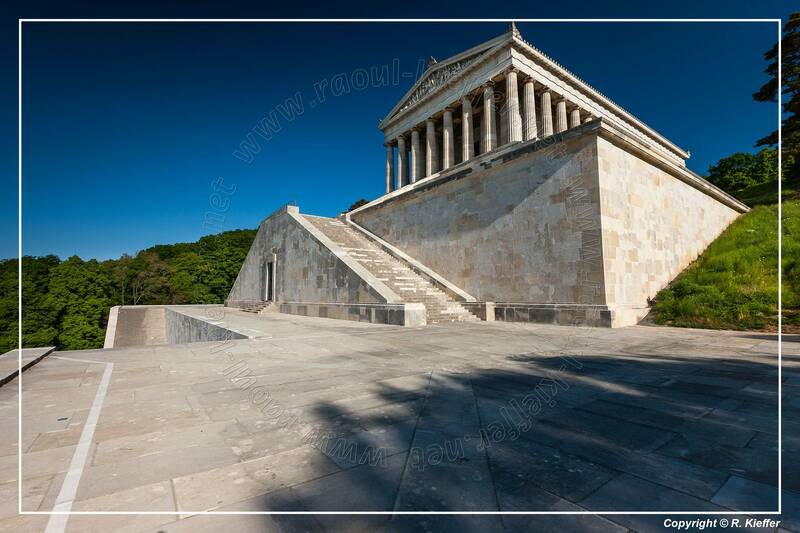 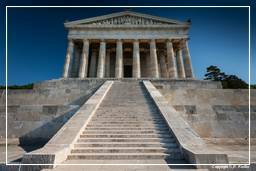 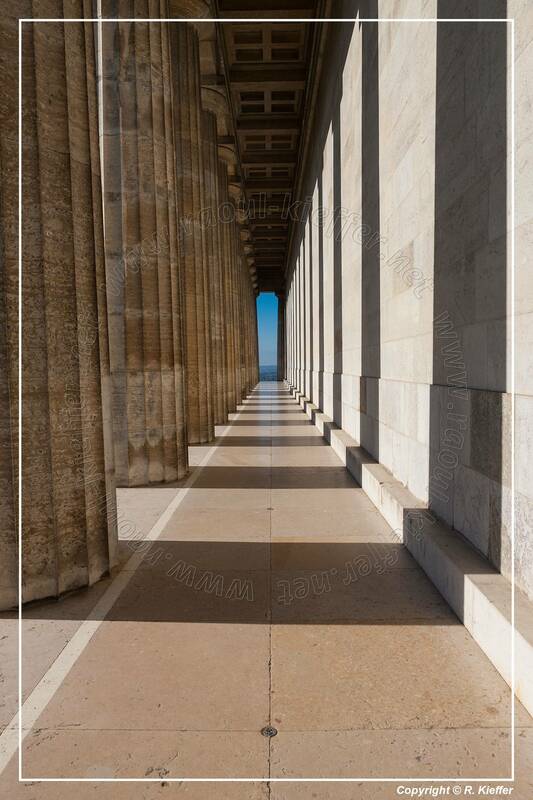 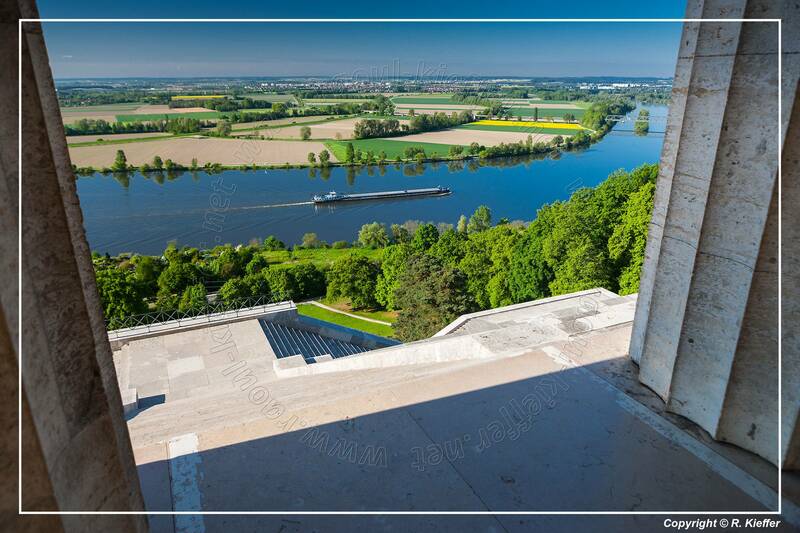 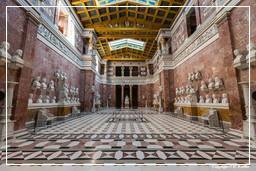 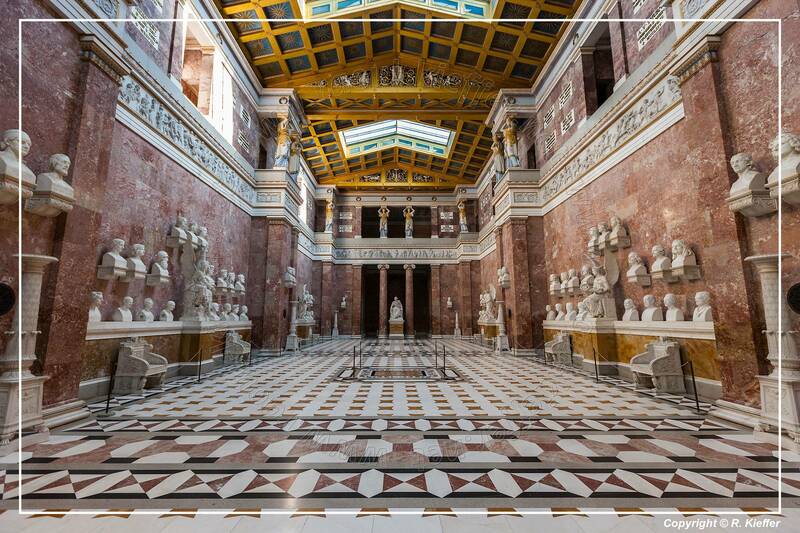 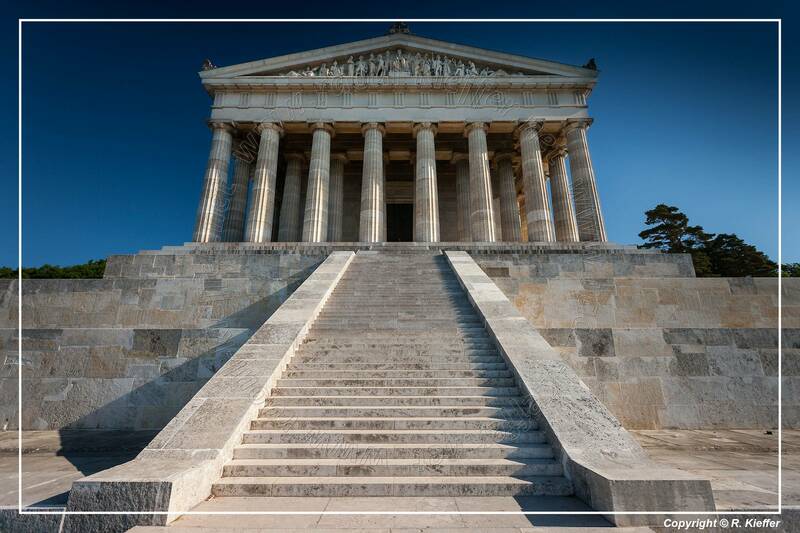 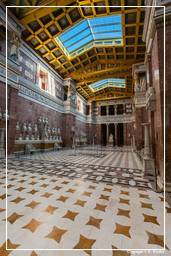 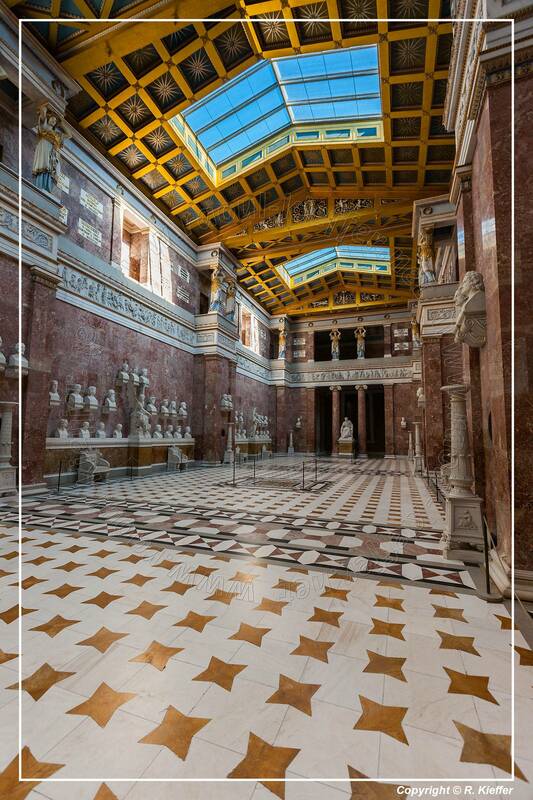 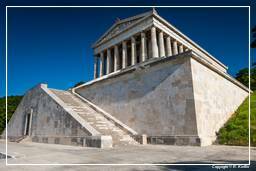 The Walhalla is a hall of fame that honours laudable and distinguished people, famous personalities in German history - politicians, sovereigns, scientists and artists of the German tongue. 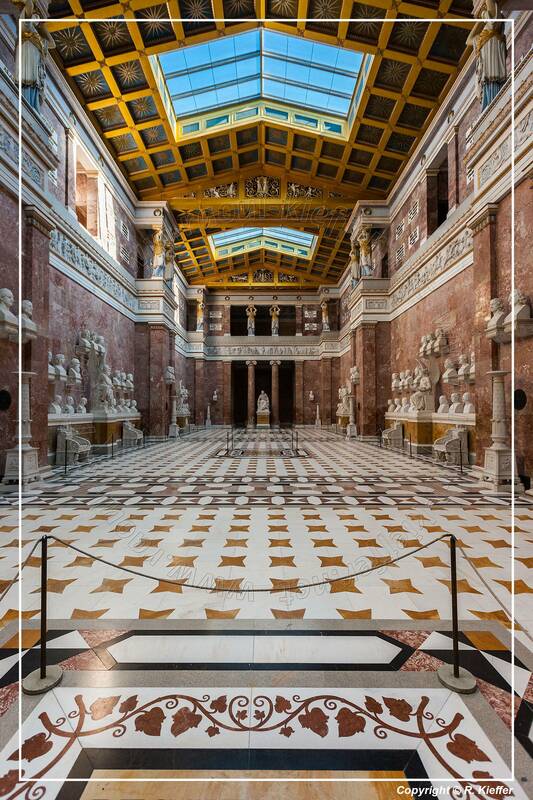 The hall is housed in a neo-classical building above the Danube River, east of Regensburg. The Walhalla is named for Valhalla of Norse Mythology. 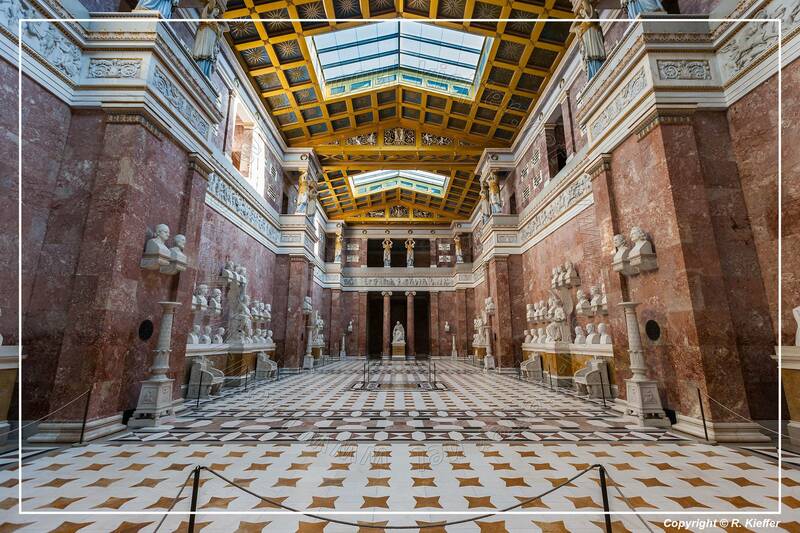 It was conceived in 1807 by Crown Prince Ludwig, who built it upon ascending the throne of Bavaria as King Ludwig I. 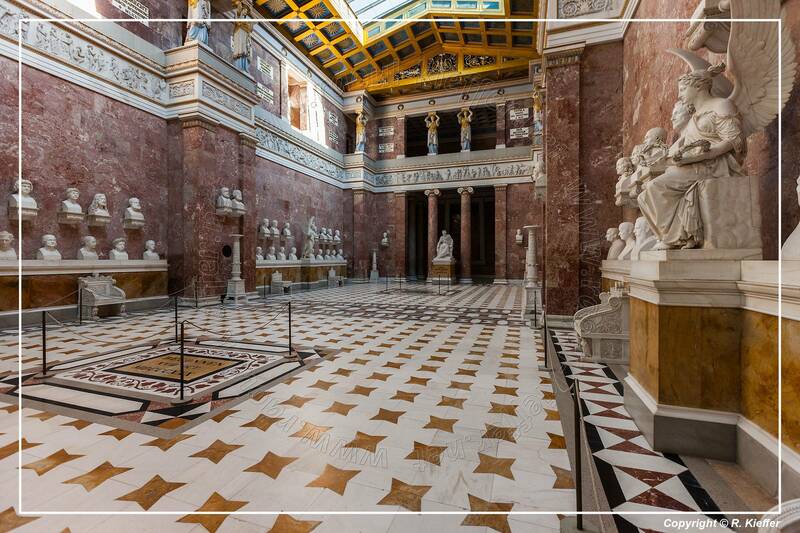 Construction took place between 1830 and 1842, under the supervision of architect Leo von Klenze. 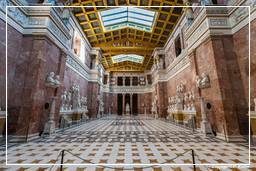 The memorial displays some 65 plaques and 130 busts of persons, covering 2,000 years of history - the earliest person honoured is Arminius, victor at the Battle of the Teutoburg Forest (9 AD). Whereas the Valhalla of Norse mythology was home to those gloriously slain in battle, Ludwig intended his Walhalla not only for warriors but also for scientists, writers, and clerics, and specifically included both men and women.